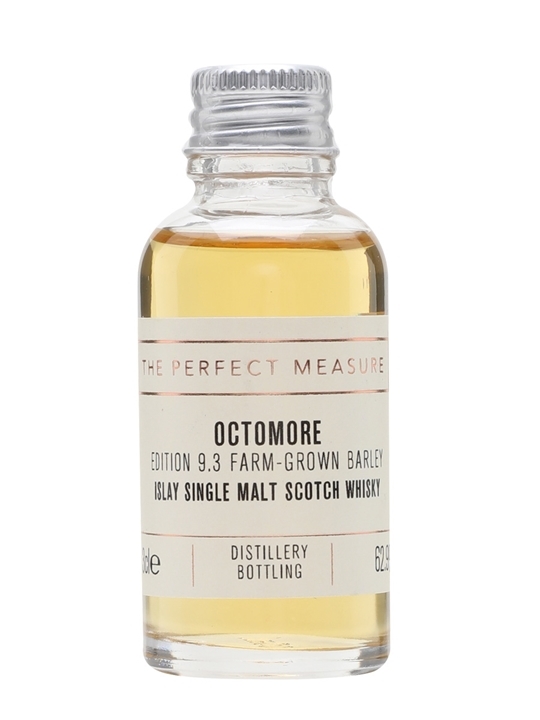 Summary: 3cl / 59.1% / The Perfect Measure – A Perfect Measure sample of Octomore 9.1 from the Dialogues series. It was aged for five years in American oak casks, this peated single malt is designed to show that a young whisky can stand up to those prized simply for their age. This single malt is elegant, smoky and sweet with notes of toffee, coconut, rose petals and earthy peat. 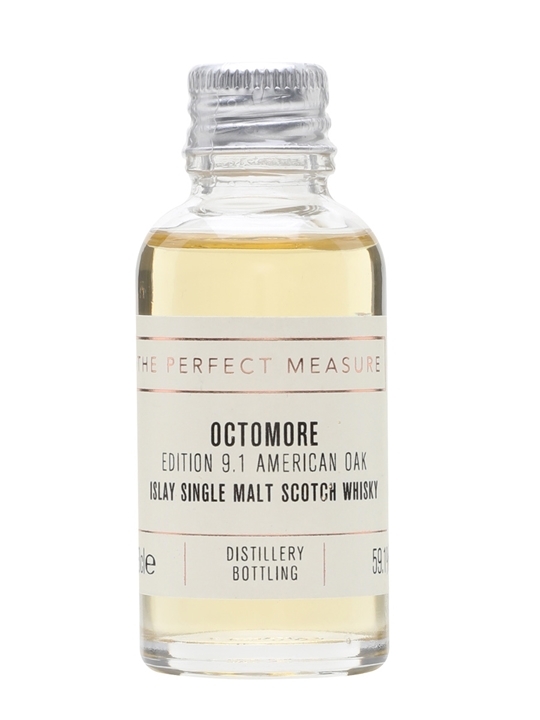 Summary: 3cl / 62.9% / The Perfect Measure – A Perfect Measure of Octomore 9.3 from the Dialogues series. Aged for five years in mainly second-fill American whiskey casks this is designed to show the effect of a single-vintage low-yield harvest on the character of the whisky. The palate holds notes of malted barley, black tea, golden syrup and burning heather, with a strong undercurrent of peat smoke throughout. Summary: This whisky is 6 Years Old. Summary: Now on its 5 Year Old stage, this new and extremely popular release from the new owners of Bruichladdich – Remy Martin. Paying tribute to the land from which it came, and the raw materials that gave it that lust for live. 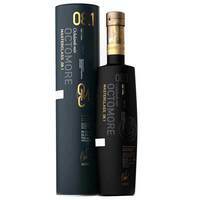 Octomore Scottish Barley, this truly challenges convention. 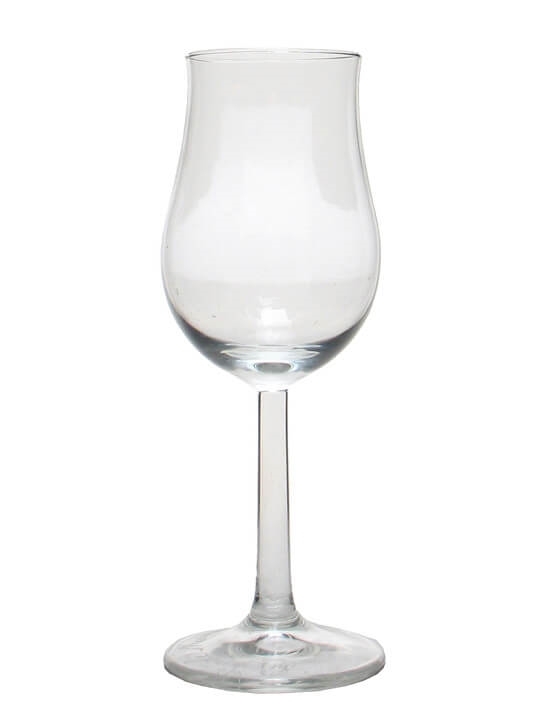 Bruichladdich Tasting notes: As the spirit breathes in the glass a subtle change takes place. Rising steadily comes the crisp, malted barley then the sweet oak, giving notes of vanilla, toasted rye bread and walnuts. add a burst of fresh lime, poached apple and pear from distillation The Octomore 6.1 from Bruichladdich Distillery, Islay. Summary: A stunning new release from Octomore. Distilled in 2009 using Scottish barley from the 2008 harvest. Aged for 8 Years. Matured exclusively in first fill American oak casks. Tasting notes… Aroma – Initially smoke, tar, peat ash hint of muddiness/wet peat moss. Candied orange, pepper, chocolate, macaroon, vanilla fudge and lemon meringue pie. Taste – Liquid gold, soft and delicate texture from slow distillation. Superb fruit/smoke combination. On the lips there is soft kiss of salt spray, ozone fresh. Sweet oak gives vanilla, fudge, marzipan and walnut. Melon and citrus come through a floral breeze. Many layered there is a lot to find in this Octomore. Finish – Dry peat smoke, iodine and oak sweetness combine. Hints of mint and bog myrtle fade with the lingering peat smoke, as ever, the last flavour to go. From Bruichladdich Distillery. 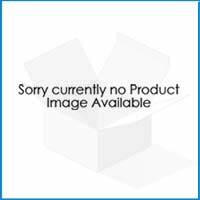 Summary: This is the third and newest release in this range of not so secret releases. Thereâs no escape from peat when you are drinking Oc whisky, looking for more than simple smokiness when they select a cask is what they do best. Bottled at 60.3% vol Distilled at (a secret) Bruichladdich Distillery, and bottled by Speciality Drinks in the Elements of Islay range. Summary: The solution demands a complex cask management system. Although all of the spirit in 08.4 is eight years old just 20% has been held full-term in virgin oak. 80% was originally introduced to American oak, first-fill ex-Bourbon casks, before being transferred into the European virgin oak that had previously held Octomore 07.4. The effect of virgin oak on whisky can be dramatic. Head Distiller Adam Hannett must balance the immense sensory force of the raw wood whilst retaining the subtle complexity of the Octomore spirit. Nose: A little smoke but gentle and warm. The oak comes with sweet honeyed malt and banana bread. The phenolic muddy notes come again now with a peppery, floral edge. With time the oak gives more and more, toffee popcorn, vanilla fudge, coconut, cinnamon. The smoke fades back a little now Taste: A rich texture feels like honey as it slowly builds the flavour of the sweet mellow oak. Leather and toasted wood combine with the delicate smoke. There is balance here as there is no oak notes without an equal and complimenting note from the smoke. Praline, coconut, clove are matched with barbeque, burnt heather and iodine. The spirit behind the smoke and oak brings a lemon and salt spray hit once opened with spring water as well as hints of mint and stewed apple. Clove, aniseed and coffee grounds fade to peat smoke â” the typical, classic Octomore finish that always lingers in your mind. From Bruichladdich Distillery. Summary: 70cl / 59.1% / Distillery Bottling – As is traditional, October 9.1 sets the tone for the 9 series. This intensely peaty single malt is designed to demonstrate that ingredients and distillation methods can create young whisky which is superior to those prized simply for their age. Matured in ex-American whiskey casks for five years, this is elegant, smoky and sweet with notes of toffee, earthy peat, fudge, coconut and rose petal. 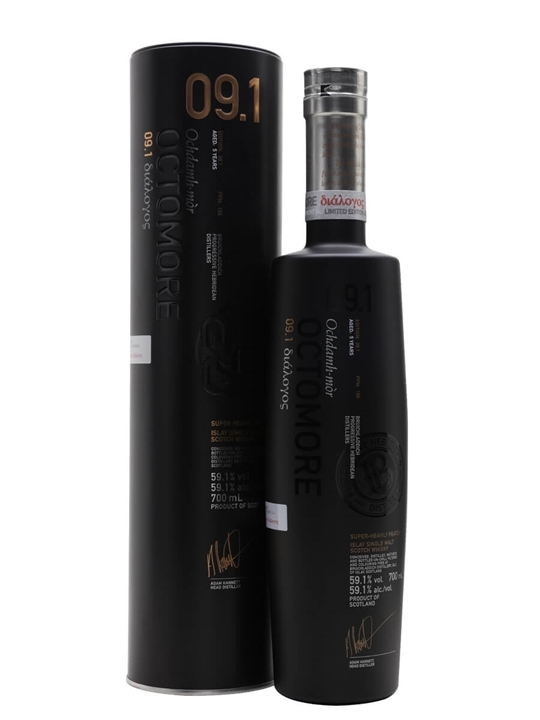 Summary: Bruichladdich Octomore 9.1 Scottish Barley Islay single malt Scotch whisky. Super heavily peated distilled in 2012 from 100% Scottish barley, the 09.1 is matured full-term in top-tier ex-American whiskey casks. Summary: For the first time, an Octomore distilled from 100% Islay Barley, and harvested in 2008 by farmer James Brown at Lorgba, a single field on his Octomore farm. Distilled in 2009 and bottled 2014. 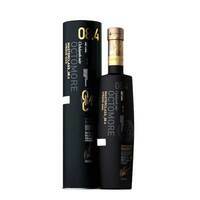 This Bruichladdich Octomore Islay Barley 6.3 is peated to an absolutely stratospheric 258ppm, the highest ever (so far) released in the industry. It is also a whopping 64% vol. 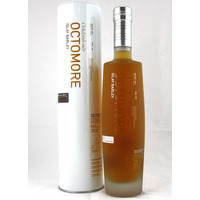 In homage to its origins, this is Octomore of Octomore. Bruichladdich Tasting notes: Nose – it opens with a call of the sea – the thundering West coast waves driving a gentle mist onto the moorland and tempting the wild plants to release their unique aromas. Notes of myrtle, meadowsweet, mint and heather flowers drift across the nose. Wild thyme and red clover dance in perfect harmony with the strong uplifting peatiness of the Islay grown barley. Its exhilarating, and seriously dramatic.  Palate – When the heat of the peat fires cool there is a spontaneous detonation of soft red grapes, cherries, Russian toffee, bitter chocolate, maple syrup and mellow oak. It is a taste like no other, a whisky cut loose, unhindered, unchanged. This is sorcery. Finish – Long and strong, it warms the soul and lifts the heart. It evokes memories of those early years when the sweat of men instilled the spirit with a unique character. Join us as we look to the past, celebrating our Islay DNA while journeying into the future in a never ending quest for the rainbows end. The Octomore 6.3 from Bruichladdich Distillery, Islay.